I just bought a few sweaters on sale, which means spring is basically here, right? FINALLY! That, coupled with Daylight Savings Time allowing the sunshine to stick around later in the evening, is really contributing to my fantastic mood these days. I feel a little indifferent about Daylight Savings Day in general; studies show it can contribute to an off kilter circadian rhythm for a short period of time which can have unfortunate side effects. But, it is absolutely refreshing to have the sun still shining at 7:00 PM. As we know, the rotation of crops allows a change of produce every season, varying by climates. Spring brings a new harvest, showcasing some of my favorite fruits and veggies. I am super stoked because it is APPLE SEASON! And even though I don’t eat as many apples as I used to (apple variety in the UK is limited year round) I still get nostalgic about seeing the baskets of apples at my local market. Which brings me to another fantastic part about this time of year – the farmers markets. I love meeting the kindred spirits that have contributed to growing, picking, and preparing the foods I enjoy. This interaction really puts a face to the farm that I am sourcing my food from, and I allows me the option to track the source of my food. Spring crops include spinach, collard greens, swiss chard, apricots and more. I have my faves though, and to give you a hint, apples are not included on this list. 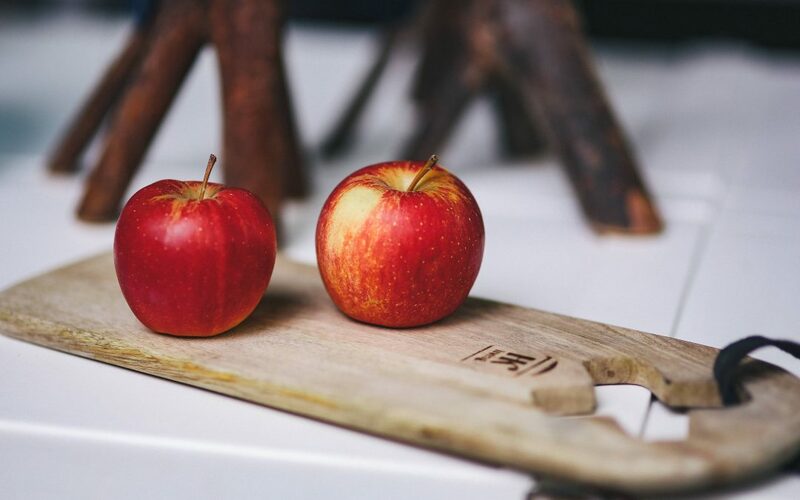 We must switch up our diets every now and then, and I realize some of my favorites don’t get as much airplay love from me as apples, so I am walking through each one, below! Broccoli is literally one of my favorite foods in general. This delicious food had a special place in my heart way before I was paleo, and beginning when I was a younger child. I am not sure how I got so lucky to have such a nutrient rich food like broccoli in my lineup, but I am thankful. Broccoli is rich in many nutrients like Vitamin E, Vitamin B6, Manganese, Phosphorus, Choline, Magnesium, Zinc, Iron Calcium and Niacin to name a few. In order to capture the benefits and nutrients found in broccoli, try steaming it. This is a great way to enjoy broccoli especially if you find raw cruciferous vegetables tough on your digestive system. These days it is kind of unheard of to not like this amazing fat rich superfood. I love mashing avocado with canned salmon and adding a little salt for a savory, sustainable meal. I usually eat it by the fork but I am sure it would be great with some crackers, like these gluten free crackers from Simple Mills, if that’s your thing. Avocado contains a great amount of monounsaturated fatty acids, which is what they are most known for. But, avocados also contain Vitamin C, Vitamin E, Vitamin K and B-6, Riboflavin, Magnesium, and Folate. There are an absurd amount of varieties of mushrooms available. I love Laetiporus mushrooms; they are often called the “chicken of the woods” because of their chickeny – hearty flavor. Porcini mushrooms are insanely delicious too. You can grind these up and make a powder blend out of them that goes great on steamed veggies (like broccoli!). Mushrooms are thought to benefit our immune systems, and contain a decent amount of Vitamin B, Copper and Selenium. In order to capture the nutrients found in mushrooms you must cook them. Have you tried frozen pineapple yet? It is AMAZING and a fast and easy way to do dessert. I have to be careful eating pineapple though because the acidity gives me canker sores. I did hear recently that if you soak pineapple in salt water it helps destroy the bio-glycosides and bromelain found in pineapple, which are plant enzymes that cause the prickly burning sensation. Pineapples are full of Vitamin C and Manganese, and fiber. I could eat cabbage by the head. This versatile veggie has been a staple of various cuisines for centuries, and with the amount of species available along with its unique taste, it’s easy to see why. If you chop up cabbage and throw a little avocado or coconut oil on it with a splash of apple cider vinegar, salt and pepper and pop it in the oven at 350 degrees, you get this delicious side veggie dish that is hearty and nutrient rich. Cabbage is delicious raw too, cut up into little strips and drizzled with a mayo or avocado based dressing, like this one. Cabbage contains Vitamin K, Vitamin C and B6, Manganese, Fiber, and Folate. Check out this recipe from Danielle Walker for corned beef and cabbage with parsnip turnip puree. Turnips and parsnips are both spring veggies too! So that is it for my spring season favorite staples. You can find a full list of seasonal produce here. This is just the start of the seasonal crop rotations! Summer brings a longer list of produce available to us, including cucumbers, watermelon, mangos, bell pepper and more. I usually like to freeze some of my spring produce if I have access to a freezer, just so I can stretch the availability of my favorite foods like broccoli. This is definitely the season where I start craving salads (for some reason), I am no longer looking for the hearty meals of winter. All of these foods can be chopped up and used as salad fixings, a common theme amongst much of the spring seasonal produce list. So whether its salads, smoothies, or steamed, I hope you get to wander to your local farmers market and pick up some of these seasonal, nutrient rich gems!